Our digital systems have been developed to merge variable and constant data and images and print onto any of the products we make. Plastic ID Cards, event and parking tickets can all be bar coded. All barcode types are available. The exact size and position of a barcode symbol can be controlled. Data can be completely variable to ensure every item printed is unique. We can calculate automatically any check digits needed. 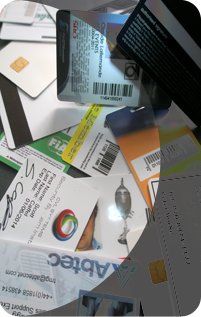 ID Cards can have a magnetic stripe (Hi Co or Lo Co) which can have up to three tracks of data encoded. This is done at the same time as any printing and so the two match. If required we can encode blank or pre-printed cards supplied by you. A Signature panel can be included allowing the recipient to write on the card. Signatures can be supplied to us as images (digital or paper based) to be printed on the card.